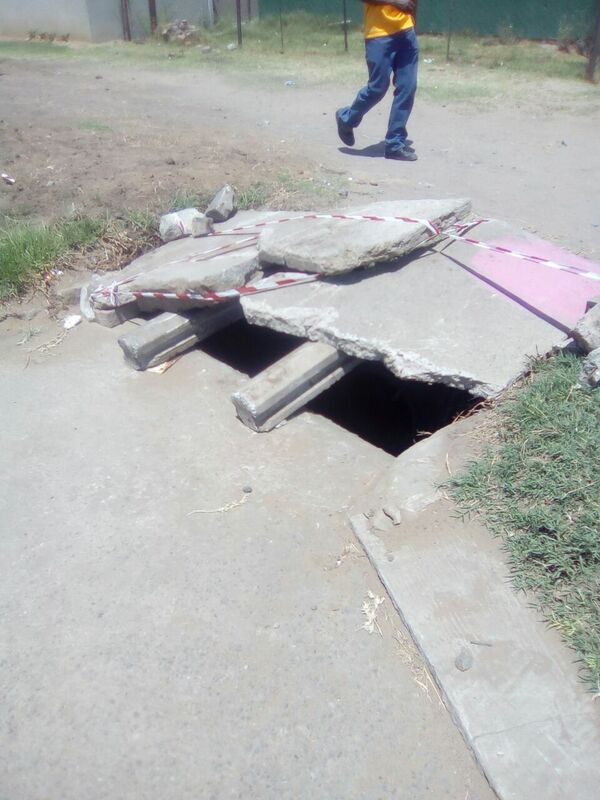 This manhole which is situated next to Reahola Refengkhotso Educare could be a danger; it has been left wide open for too long. The life’s of the children in particular are at risk. Nobody is taking any remedial actions to the problem. A life could be lost and such has happened in other communities before, our municipality is negligent is most cases and only act when is too late. The kids are exposed to this kind of risks which can be avoided, I strongly challenge the municipalities in South Africa to regularly check out their properties and deal decisively with risk factors with a view of saving the life’s of the kids and especially young boys. Cleaning campaign between Tjhaba Tsatsi Primary School and Moqhaka Secondary School.